Is Your Child’s Drink Wrecking Their Smile? While plain water is by far the safest and healthiest beverage to drink, many kids are lured by more flavorful alternatives. Unfortunately, there is a large selection of sugar-packed beverages that can be a serious threat to your child’s dental health. While many parents are careful to limit candy and sugary snacks throughout the day, they may overlook the importance of monitoring what their child is drinking. Sipping on liquids that are high in acids and sugars means that you are bathing your pearly whites in harmful substances that can lead to enamel erosion, cavities, discoloration, sensitivity and other dental problems. Fruit Juices: This can be confusing, as fruit juices are typically marketed as healthy and rich in vitamins. Unfortunately, they are not so healthy for the teeth. Most fruit juices contain high amounts of sugar and are also acidic, a deadly combination for the health of your tooth enamel. Once areas of the enamel are destroyed, cavities become much more likely. Sports Drinks: While sports drinks can be a good option for replenishing electrolytes and minerals lost during sweating and exercise, many kids are drinking sports drinks when they are inactive. This means your child is getting excessive amounts of salt as well as sugar. If they sip on a sports drink throughout the day, it becomes even worse for your child’s teeth. Sodas: It should come to no surprise that sodas are bad for your teeth. Sodas not only contain extremely high amounts of sugar (up to 40g per can in some cases), but the carbonation effect of these drinks can wreak havoc of the teeth. Both kids and adults who regularly consume sodas are at a much greater risk for tooth decay and gum disease, as well as threats to their overall health. Educate your child about the benefits of smart drink choices, such as water, milk and low-sugar juices. Help them understand what high-sugared sodas and sports drinks can do to their teeth. This can help them make more informed decisions about what they are putting in their mouth and body. If you child gets bored with plain H20, consider a flavored water or milk. For the times in which you just can’t avoid a sugary or acidic beverage, encourage your child to drink it in one setting and/or drink water afterwards. Chewing sugar-free gum can also help rinse away harmful sugars and neutralize the acids left behind. 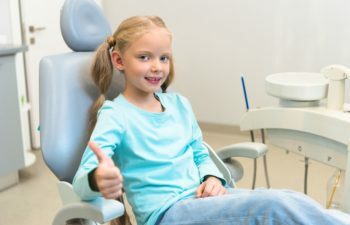 Learn more about how pediatric dental care from Georgia Orthodontics & Children’s Dentistry. We offer top quality dental treatments and orthodontic care from preschool to adolescence.